Have you read any of these Camino de Santiago books? The Camino de Santiago has inspired many to write about their experiences along the pilgrimage. Many novelists have chosen the Camino as a setting. 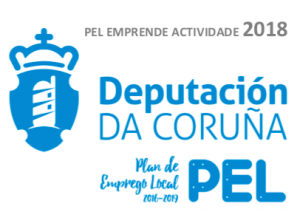 Some, like Paulo Coelho, have even found their true calling thanks to their walk towards Santiago. Here are eight fiction and non-fiction books inspired by the Camino de Santiago, have you read any of these Camino de Santiago books? The Pilgrimage (O Diário de Um Mago) is one of the most renowned novels about the Camino. Set in 1986, it follows the adventures of Paulo Coelho, a Brazilian man who undertakes the Camino as part of a quest to become initiated in a catholic organization. The Pilgrimage is a mixture of adventures and a guide to self-discovery. We follow Paulo’s journey through the Camino and read the author’s reflections and insights into life. 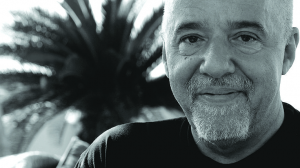 The novel was inspired by Coelho’s own pilgrimage across Northern Spain in 1986. What is more, this trip led him to become a novelist. In fact, during his journey he reached the determination to stop dreaming about writing and start a writing career. 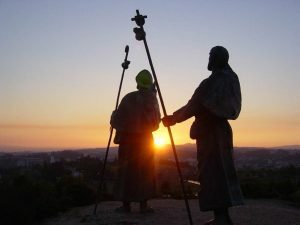 After the novel was published, many Brazilian pilgrims started walking the Camino, inspired by the author’s words and experience. Korean journalist Kim Hyo Sun is by now an expert on the Camino: she has written three books, each for one of the most popular routes: French Way, Portuguese Way and Vía de la Plata. Her work inspired many Koreans to walk the Camino themselves. But she is not the only one: fellow Korean Kim Nan Hee recalls her experience walking the French Way in The journey of a woman alone. This is a travel book that has helped promote the Camino in Korea. The two writers’ route books are one of the main reasons the Camino is so popular amongst Koreans. In fact, the country went from barely 24 pilgrims in 2004 to being the 9th most numerous nationality to walk the Camino in 2017. German comedian Hape Kerkeling embarked on his pilgrimage to Santiago in search for meaning. As he walked, he began the journal which ultimately turned into this book. In it, we follow not only his struggles, as he deals with his own physical limitations and the hardships of the pilgrimage, but also his achievements and growth. At the end of each day, he looks back on his experience and writes about the lessons learned. Kerkeling’s tale shows that everyone can walk the Camino, no matter their physical state. Besides his own personal growth, the book brings us many glimpses of the pilgrimage, as we follow him through historic landscapes and meet his fellow pilgrims, all narrated through his characteristic humor. I’m Off Then has sold over 3 million copies, and its popularity may be one of the reasons the numbers of German pilgrims have skyrocketed. Roads to Santiago is a travel book by dutch author Cees Notebloom. Notebloom’s trip is not a regular pilgrimage: along the way, he makes stops in Granada, Aragon, Soria, Madrid or even the island of La Gomera. His unconventional way of wandering through Spain offers insights into the history and customs of the country seen by a stranger’s eyes. 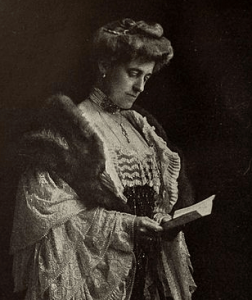 Edith Wharton, author of The Age of Innocence, is one of the most renowned north-american writers of the early 20th century. The novelist traveled twice to Santiago de Compostela, in 1925 and 1928. Back to Compostela compiles her travel journals that relate her first trip, as well as an unfinished essay inspired by the second. Wharton’s writing allows us to experience the Camino as it was nearly 100 years ago. Set at the beginning of the 14th century, Peregrinatio is a historical novel that follows Jonas, a young man that travels to Santiago on a quest to become a knight. On Peregrinatio we accompany Jonas and a Templar Knight as they walk through 14th century Spain. The most noteworthy element of Asensi’s novel are the detailed descriptions of medieval cities and architecture. Also, the story of different religious orders and social customs. On the Primitive Way is the story of two Texan brother’s walking the Primitive Way through the mountains of Asturias. It is a tale of two siblings trying to reconnect after years of estrangement, caused by the younger brother’s addiction and drug abuse. Roussel wrote the book inspired by the death of his younger brother Cory, with whom he had walked the Camino. A serial killer is on the loose and inspector Roncal of the Civil Guard is in charge of the case. After two pilgrims are murdered in albergues along the Way, the inspector begins to uncover all the clues to find the assassin. El asesino de la Vía Láctea is a thriller set in the Camino that has topped books sales on Amazon. The author, Gabriel Martínez, combines his passion for traveling with his love for writing in the novel. Here are just eight of many examples of books inspired by the Camino. Do you have a favorite one? Many have become inspired to walk to Santiago after reading one of these Camino de Santiago books. Will you be next?